It’s tempting to put off car repair when the check engine light comes on, but a delay could make a small problem much worse. 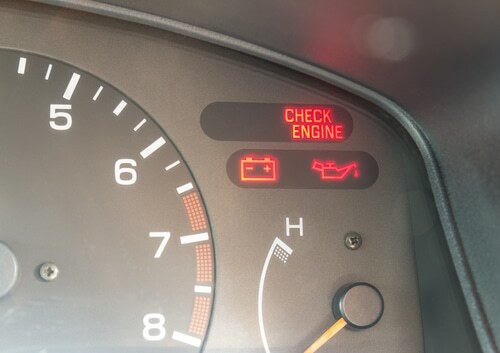 Here are 10 examples of car trouble that cause the check engine light to come on and why it’s important to have them fixed at Scott’s Fort Collins Auto & Repair sooner rather than later. Before you panic about why the check engine light has illuminated, the very first step is to check the fuel cap. If it’s loose, it allows gas to evaporate from the tank. Tighten the cap and see if the check engine light turns off. If not, you may need to replace the cap or another problem could be to blame. When these engine parts start to go bad, they cause the engine to misfire, impairing gas mileage. If this is why the check engine light came on, ignoring it could lead to a damaged catalytic converter and a much more expensive repair. High temperatures under the hood and simply old age can cause the ignition coils to go bad. It’s important to replace faulty ignition coils promptly because a delay could cause damage to the catalytic converter, a much more expensive repair. Since ignition coils ignite spark plugs using the current from the car battery, faulty spark plugs can cause the ignition coils to go bad. Because of this, spark plugs and ignition coils are often replaced in the same repair visit. Getting your car into the shop quickly after the check engine comes on may be enough to save the ignition coils and keep repair costs lower. 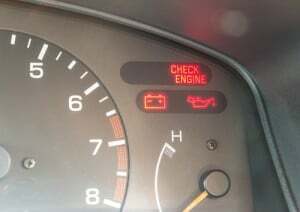 This is one of the most expensive malfunctions that will cause your check engine light to come on. A catalytic converter won’t fail unless another problem causes it to – such as faulty spark plugs or bad ignition coils – so giving quick attention to the check engine light can help prevent a more costly repair. Still, rest assured that if your catalytic converter is damaged, Scott’s Fort Collins Auto & Repair can diagnose and repair the problem to get you back on the road. Internal leaks or burning oil caused by gas with higher ethanol concentrations are to blame for this malfunction. Since failing oxygen sensors can decrease fuel efficiency by up to 40 percent, this is a repair that ends up costing you more if you put it off. This sensor’s job is to measure air in the engine and calculate how much fuel to inject. A malfunction can cause fuel efficiency to drop by 10 to 25 percent. A quick repair restores your gas mileage and saves you money. In general, car batteries should be replaced every three years, but exposure to extreme Colorado temperatures can shorten their life. If battery trouble is the reason the check engine light came on, Scott’s Fort Collins Auto & Repair can replace it for you. Rough idling, engine hesitation and misfires are all clues that an EGR valve malfunction is the reason the check engine light has come on. Ignoring this problem could lead to compromised vehicle performance, reduced fuel efficiency and difficulty passing emissions tests. We perform failed emissions repairs so you can retake and pass the test for no additional test fee. Vacuum hoses develop cracks and leaks as time goes by. When this happens, trapped vapors from evaporating gas escape and the check engine light illuminates. There’s no reason to put off a repair when the check engine comes on. All a delay does is damage other engine parts and potentially cause a more expensive repair. For help getting your car back in shape, please schedule an appointment with Scott’s Fort Collins Auto & Repair or call us at (970) 682-4202. I have had to take my vehicle to Scott’s a few times. I trust them with my vehicle and they... read moreI have had to take my vehicle to Scott’s a few times. I trust them with my vehicle and they are always willing to work with me, no matter how silly my questions are. When I first took my vehicle in, it was in rough shape. They did a comprehensive review and were able to pinpoint the issue. They guarantee their work and were able to provide a loaner vehicle, which was incredibly helpful.